Rants. Raves. Lists. Stupid stuff. Inane thoughts. Too many likes and obsessions. Whatever. Occasional contrarian thoughts on books, TV shows, music, movies, the interwebs, pop culture, trends and life. 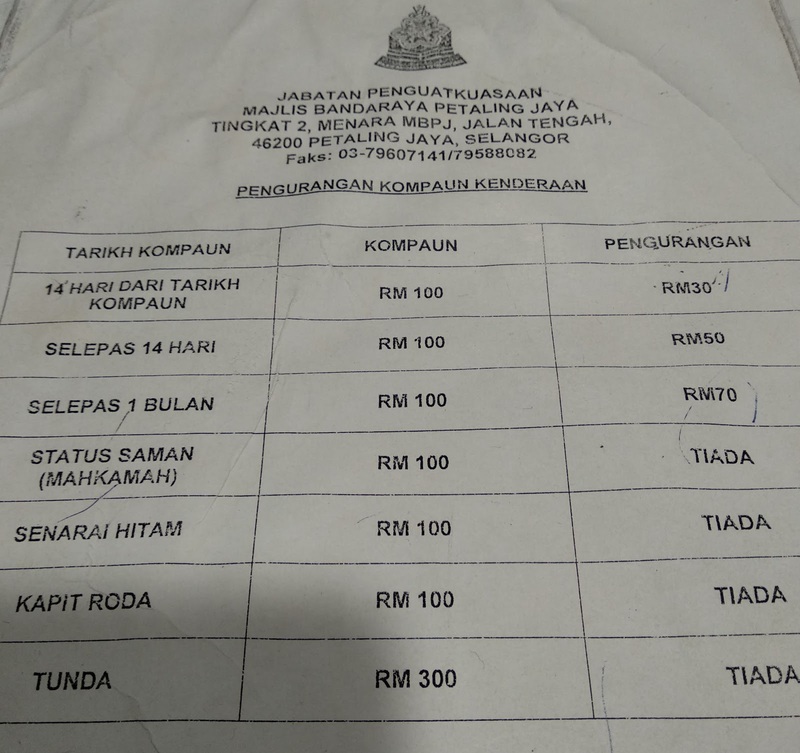 Attempting to live frugally in the Klang Valley (and failing miserably). Months after not having to guess/worry when the meter maid ninjas are gonna show up near the workplace (when the parking contractor FUBAR last year, MBPJ took back control), the parking ninjas finally started coming around again in recent weeks. I mostly got away with it because my work errands get me out around the time they'd show up. But yesterday I finally got one because I didn't go anywhere and only had a used parking ticket on the dashboard. I was just there (Dewan MBPJ) the day before to pay my dad's saman (even with the monthly parking pass, he still got one cos he didn't park in a legal parking space), so I really wasn't looking forward going back there again so soon as it's a 2 person operation - one to drive, one to go in and pay - cos parking in the area is a PITA. You could pay for it the same day, but that would require a trip to Dewan MBPJ and it won't be in their system yet. Wait a day or two, up to 14 days after the date of issue. In case anyone's curious what the (discounted) rates are now. So I decided to see if I could pay my saman online, and fortunately for me, they revamped the online payment system. Click "Log Masuk Sebagai Pelawat" if you don't want to register for an account. From the drop down menu, pick "Kompaun". It'll then ask if you want to search by car plate number or the saman number. Go with No. Kompaun because if you went with the car plate number, only the old ones will show. If your latest kompaun is there, click "Tambah ke Bayaran". Thankfully it was the discounted amount, so I didn't have to go there in person to get the discount. Click "Bayaran" on the left side menu. Follow the prompts. Can use debit card to pay. If you have Public Bank debit card you can use that to get cash back?? (until Sept 2018). Bob's your uncle! Sudah habis! !